99 real essay examples to inspire your college application! Not sure how to begin tackling your college application essay? Struggling with finishing touches? See how others did it with this e-book. 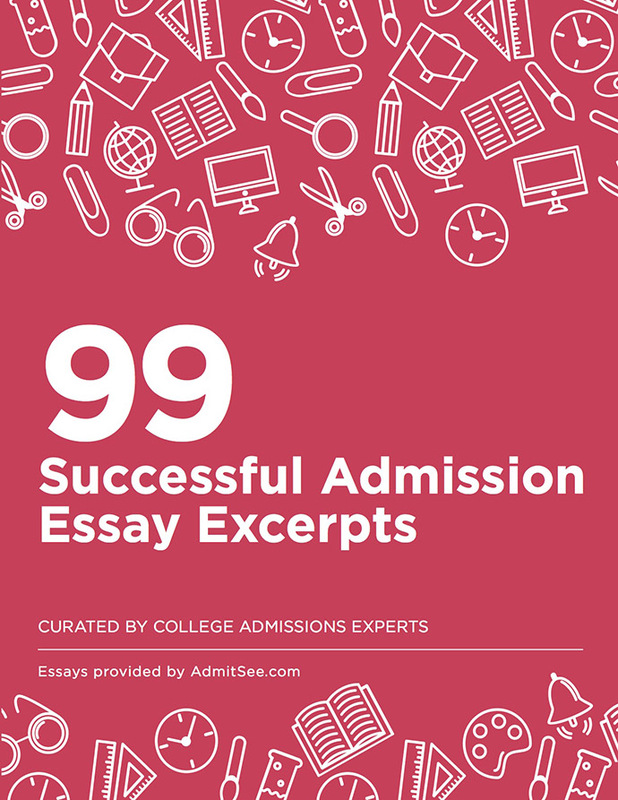 99 essay excerpts sourced from 60,000+ college applications accepted to Ivy League universities, UC schools, Liberal Arts colleges, and more! Commentary from admissions experts accompanying each essay selection. Learn what each essay did well, plus their exclusive tips! Download also comes with an exclusive AdmitSee discount promo code. Yes, I want this free e-book! If you already have an AdmitSee account, Log in here. By submitting this form, you’re agreeing to receive AdmitSee’s weekly newsletter.